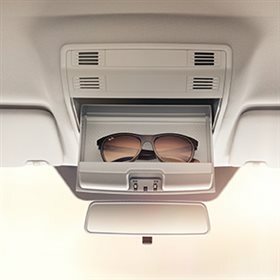 The new KODIAQ sees things you don’t. 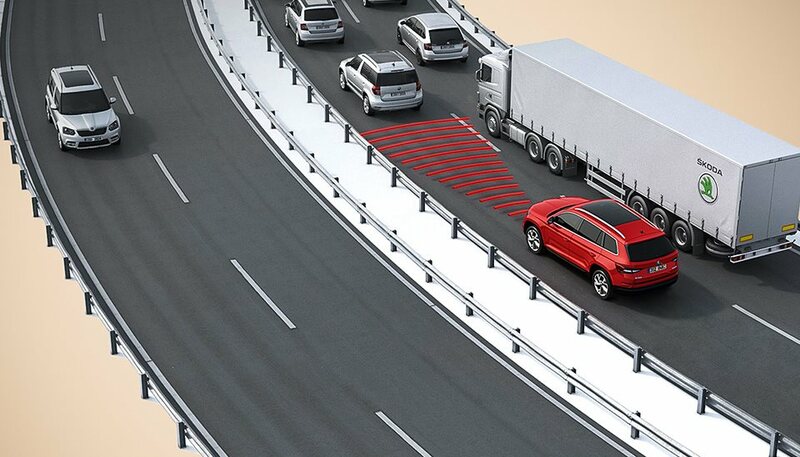 Side Assist (Blind Spot Detection)**+ available with the optional Luxury Pack helps you change lanes safely by letting you know when a vehicle is in your blind spot. If so, an LED symbol in the side mirror will light up, and start flashing once you indicate. 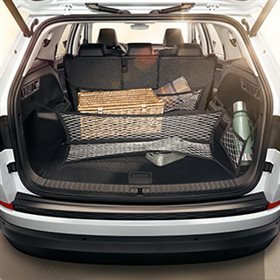 We hope you never need the nine airbags that come standard in every KODIAQ. 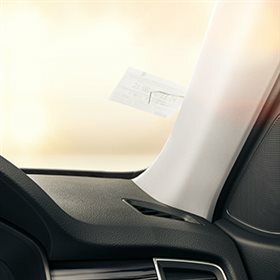 Located at the front, front side, rear side, curtain, and driver's knee area, they help protect you and your loved ones in the event of a collision. Stay on the right track. 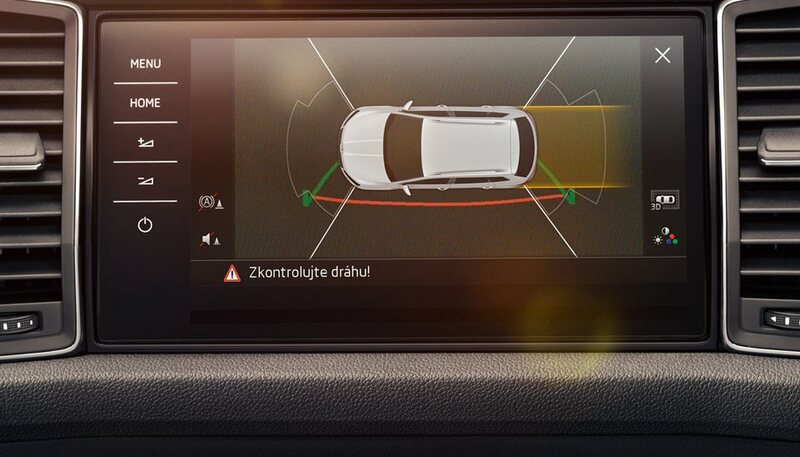 Lane Assist**+ available with the optional Luxury Pack uses a camera positioned within the rear-view mirror unit to actively recognise lane markings and, if you begin to stray, take corrective action to gently steer you back on course. It will also send audible and visual messages if you need to take additional action. 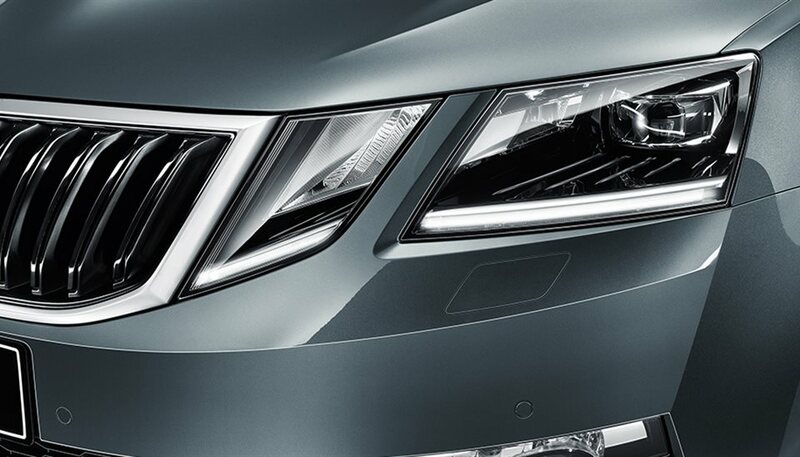 The new KODIAQ will light up your life. 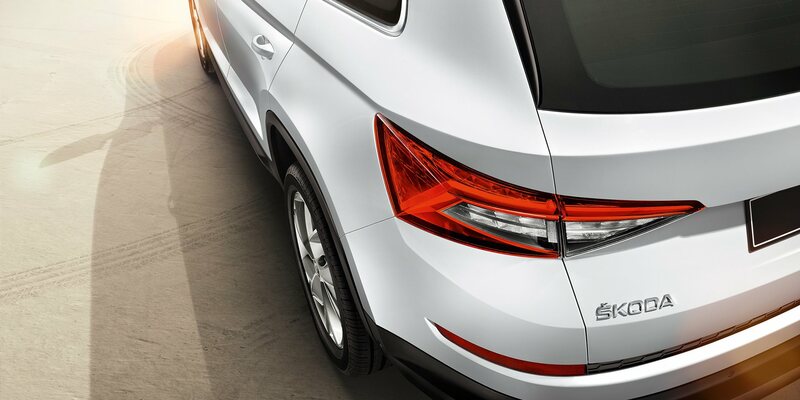 The LED headlamps offer high-performance and high-energy efficiency. 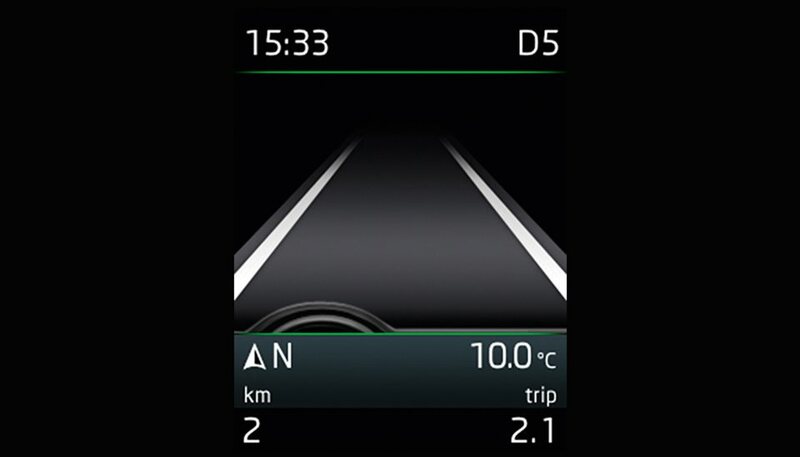 The AFS (Adaptive Frontlight System) adjusts the lighting intensity to specific conditions (e.g. city, motorway or driving in the rain). When in poor light, the LED fog lamps can come to the rescue, helping ensure your safety. 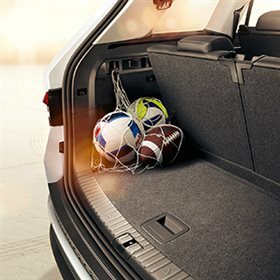 The new KODIAQ always has your back. 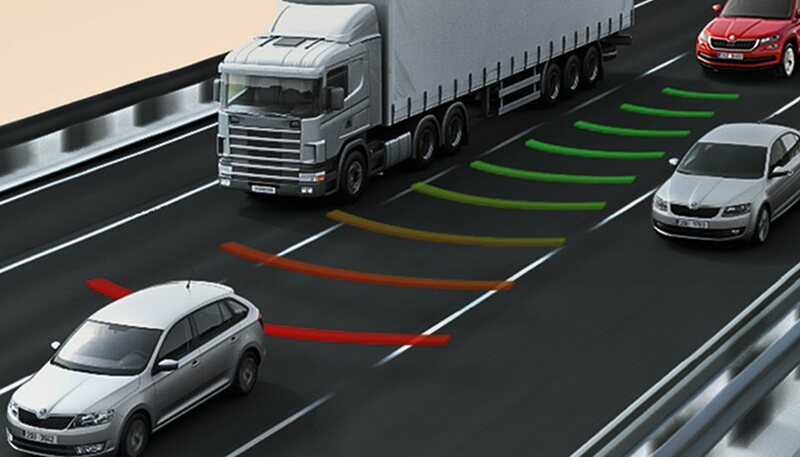 When you’re reversing, Rear Traffic Alert**+ available with the optional Luxury Pack recognises vehicles approaching from the sides and alerts you with an acoustic signal. 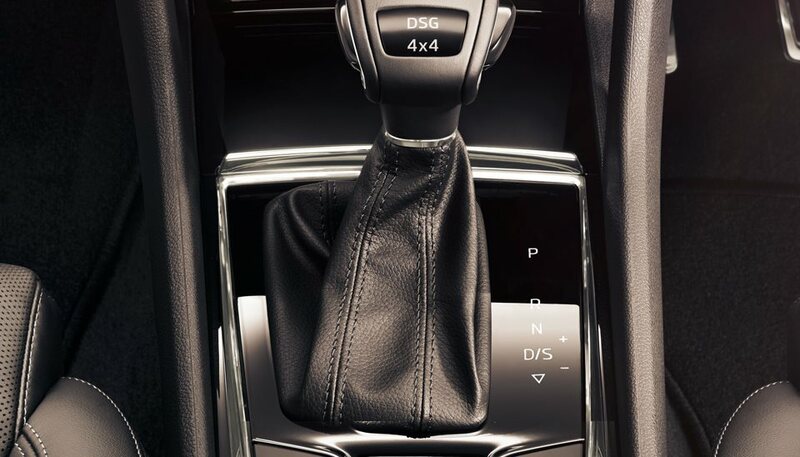 If necessary, the brakes are automatically applied to help prevent any collision. 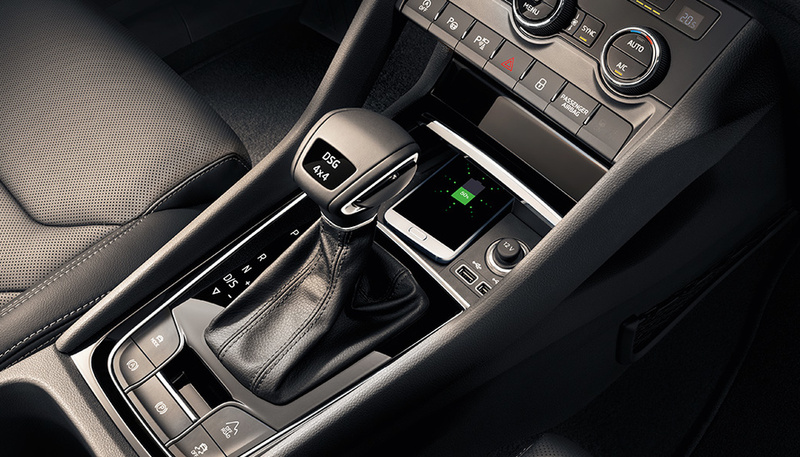 You’re always in control in the new KODIAQ. 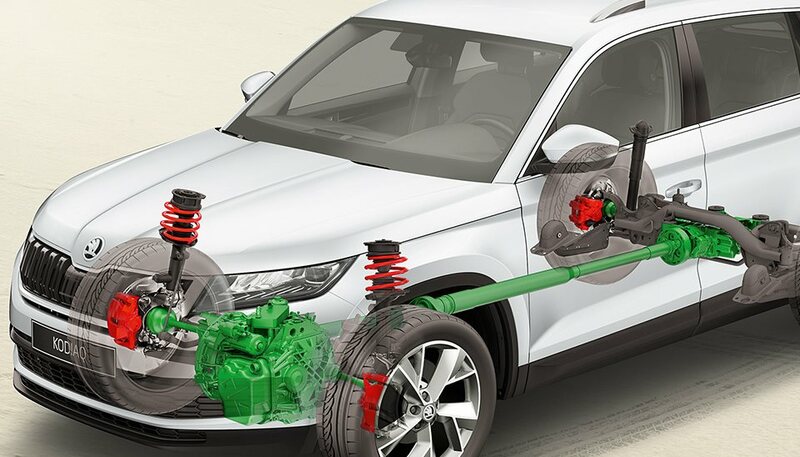 Electronic Stability Control (ESC) helps you maintain control of the car if it begins skidding, using ABS (Anti-lock Braking System) and ASR (Anti-Slip Regulation) to prevent slipping or locking the wheels. 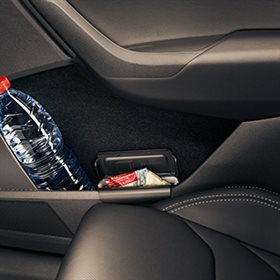 In the centre console, in the bottom of the storage compartment will now allow charging of your smartphone using the Qi Wireless standard. Available with the optional Tech Pack. Overseas Model Shown. Smartphones get along famously with smart cars. 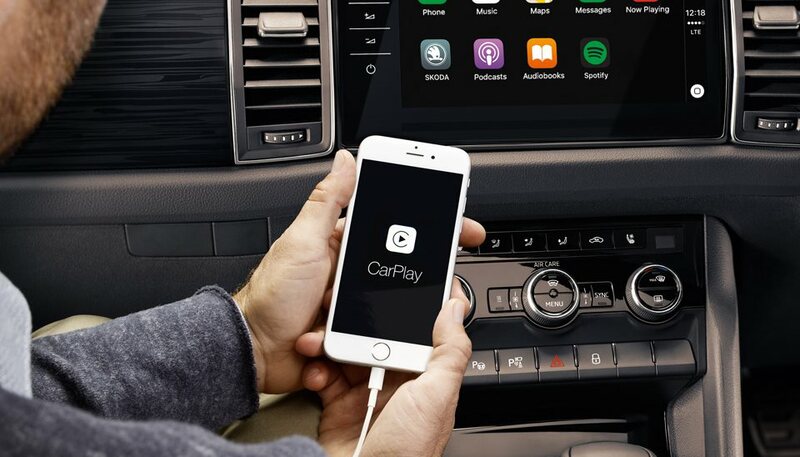 SmartLink^^ Smartphone Connectivity with Apple Carplay® & Android Auto™ seamlessly connects your smartphone to your KODIAQ, mirroring your phone's display on the internal screen. 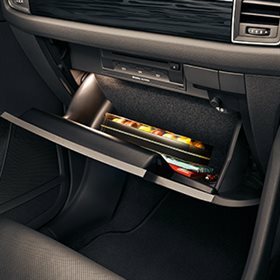 So, whether you want to listen to music or receive turn-by-turn directions, you can do it all without touching your phone. 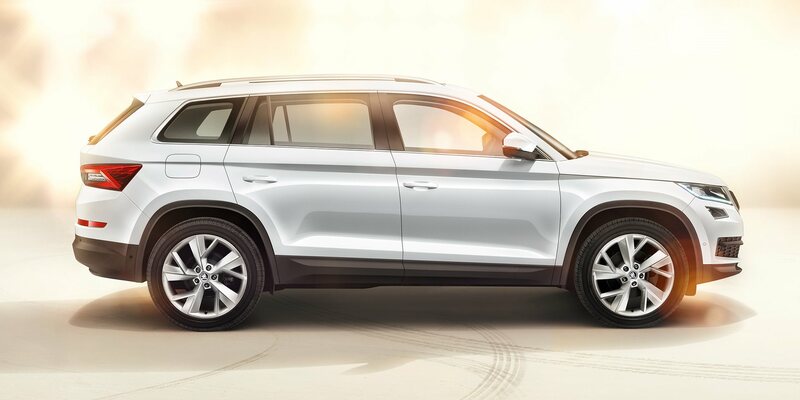 Just when you thought cruise control couldn’t get any smarter, along comes the new KODIAQ. 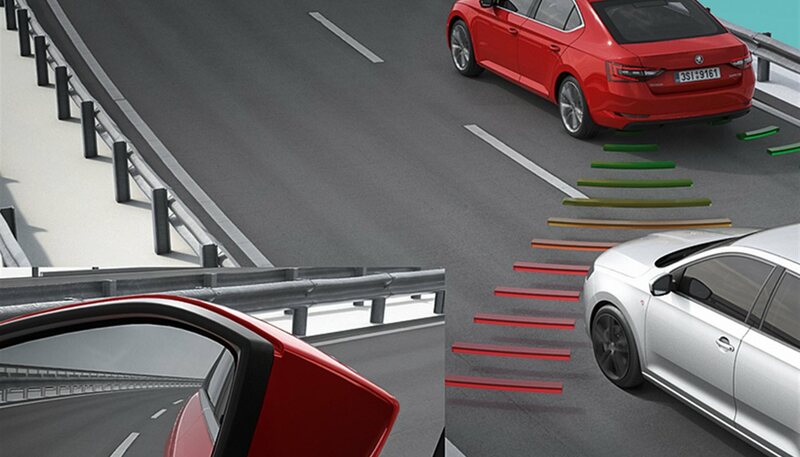 Adaptive Cruise Control (ACC)+ features a radar sensor on the front grille, allowing it to automatically brake and accelerate to a speed and distance set by you - ensuring a safe buffer between you and the car in front. Audiophiles wanted. 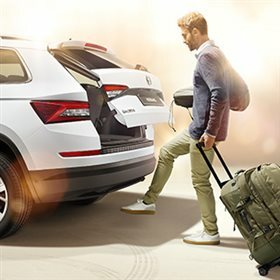 With ten speakers – including one in the dashboard – and a subwoofer in the luggage compartment, the Canton Sound System makes the KODIAQ’s audio experience as awesome as its drive. 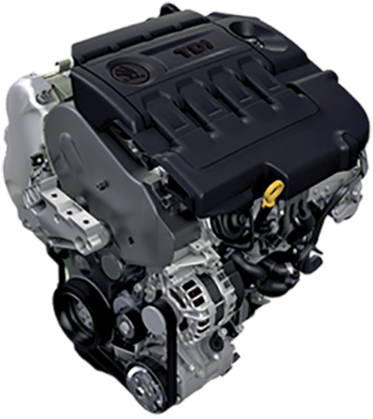 The total power output is 575 W. Available in Tech Pack. 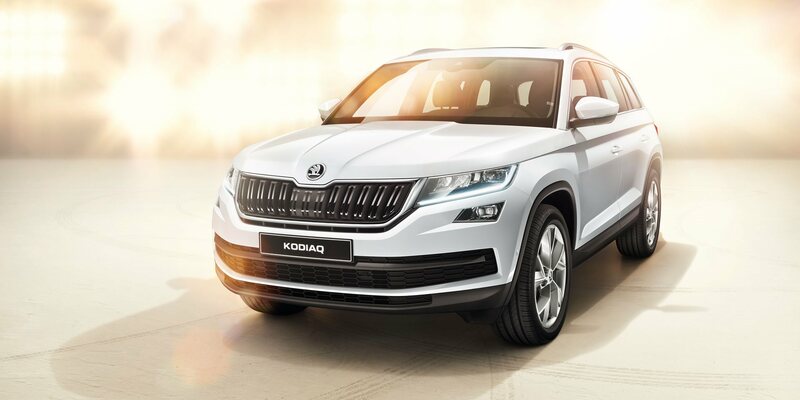 Everything is at your fingertips in the new KODIAQ. 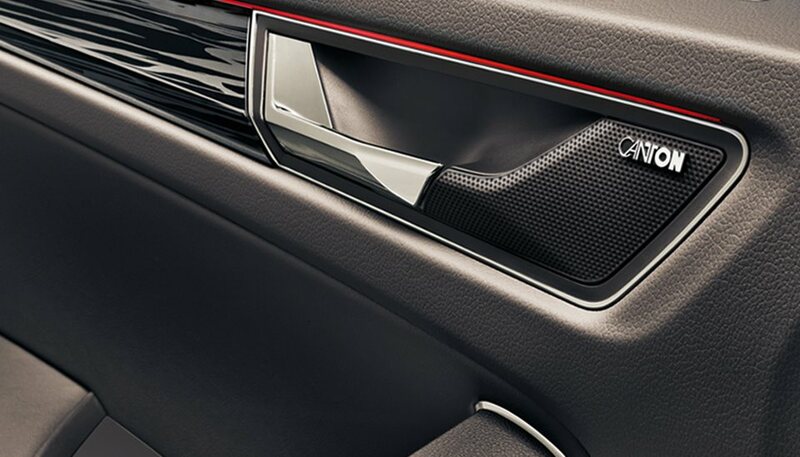 The Columbus 3D navigation system features easy-to-use touch controls on an 9.2” glass display. 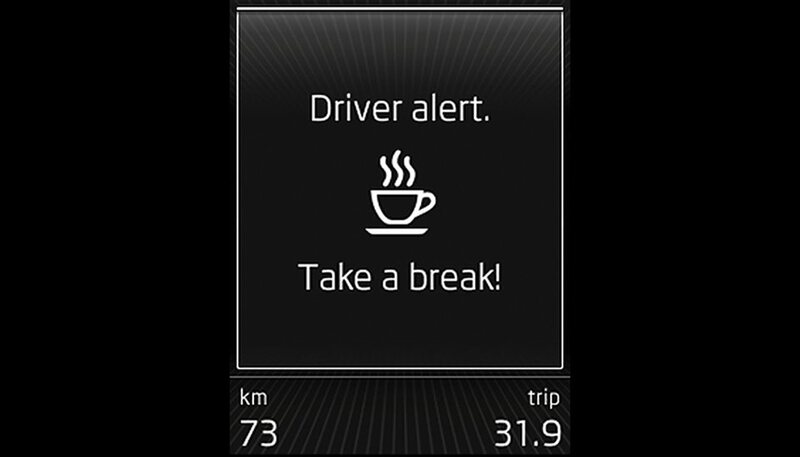 The device offers many functions including Bluetooth, SmartLink^^ vehicle set up and much more. Always stay relaxed, even when in a jam. 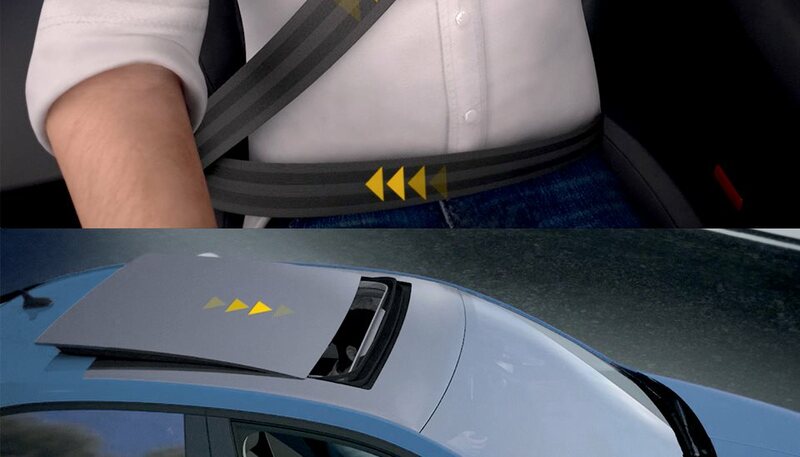 Traffic Jam Assist**+ available with the optional Luxury Pack is designed to keep you calm in traffic jams. 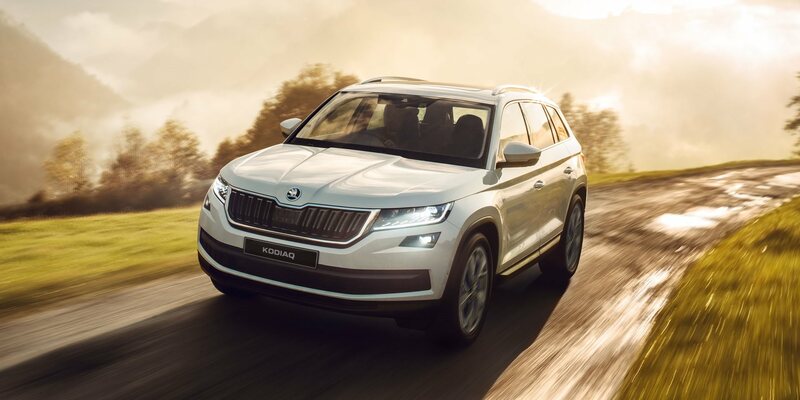 By controlling the engine, brakes and steering, it makes the vehicle firstly pull away, then brake and turn - allowing you to enjoy spending time in the KODIAQ at all times. 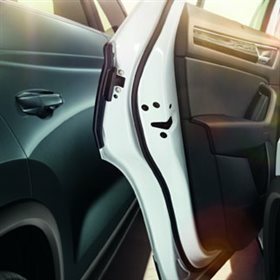 As you get to know your new KODIAQ, it gets to know you too. 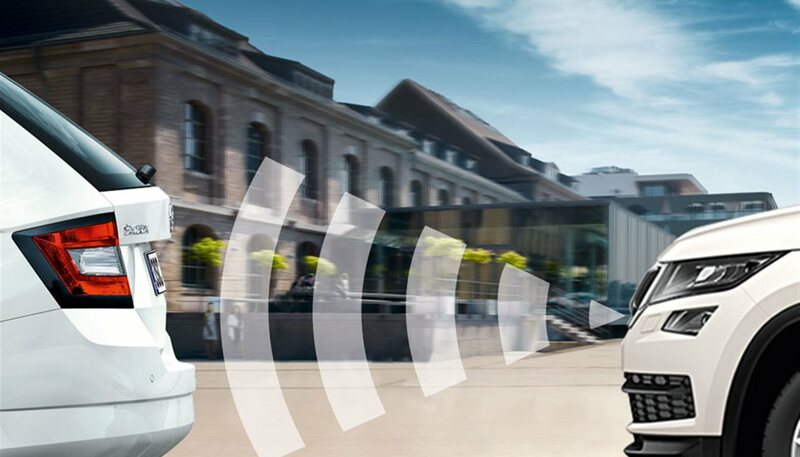 Adaptive Chassis Control** continuously evaluates and responds to various driving situations, adapting to decreases in speed and varying steering characteristics across five driving modes (Normal, Sport, Eco, Comfort and Individual). 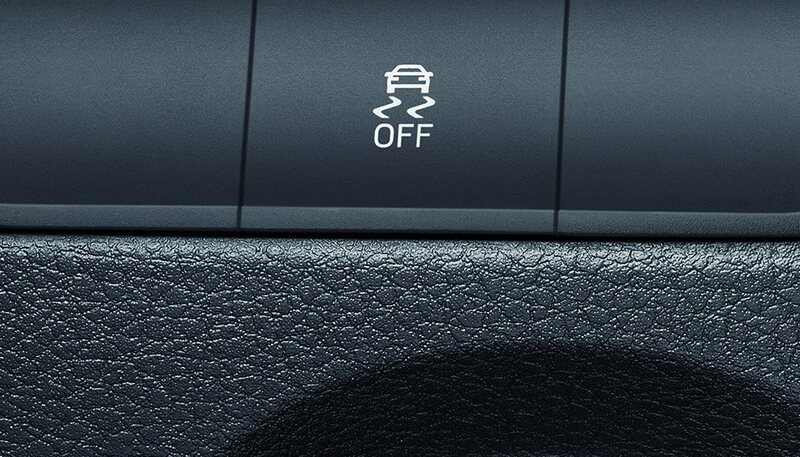 The new KODIAQ has a mode for all conditions. 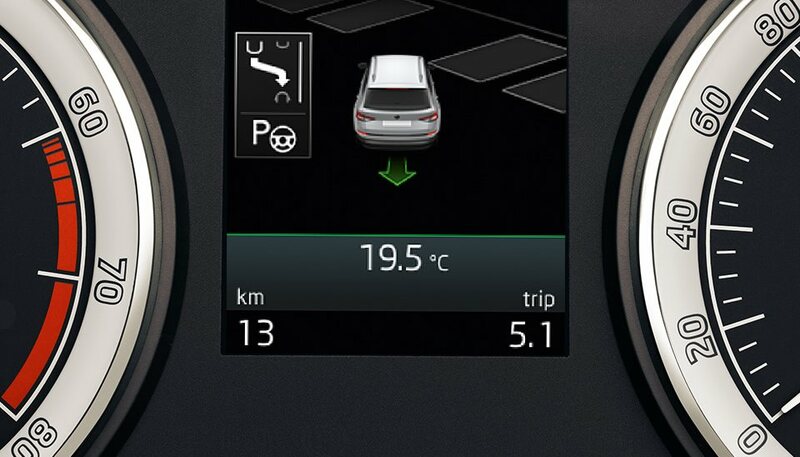 With the intelligent Off-Road Mode system, which operates at speeds of up to 30 km/h, you can handle challenging terrains. 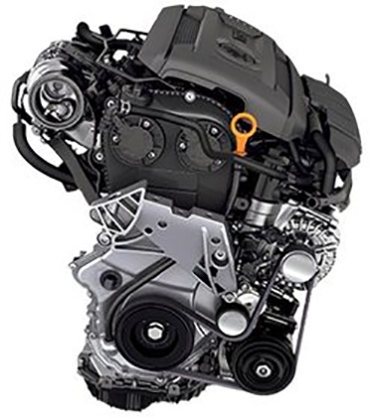 It is designed to adjust the characteristics of the engine, electronic assistants and stability control systems. Available with the optional Tech Pack. 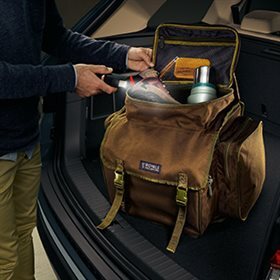 A car that gets the door for you? Now that’s service. 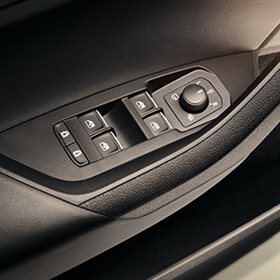 Standard in the KODIAQ range is KESSY (Keyless Entry, Start and Exit System). 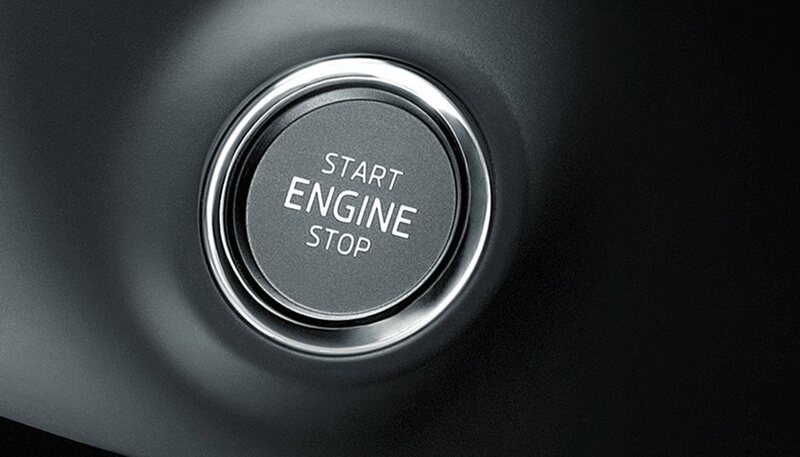 It allows the driver to lock and unlock the car, and start and stop the engine, without having to insert or even handle the key. 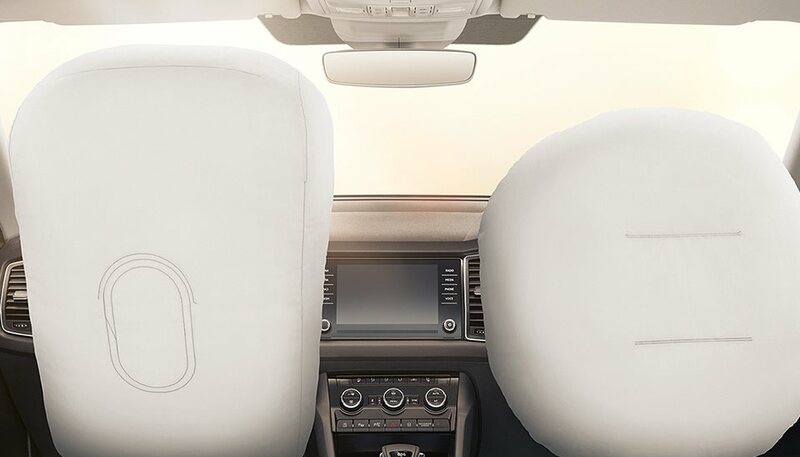 You have eyes in the back of your head with the Surround Area-View**+ available with the optional Luxury Pack. 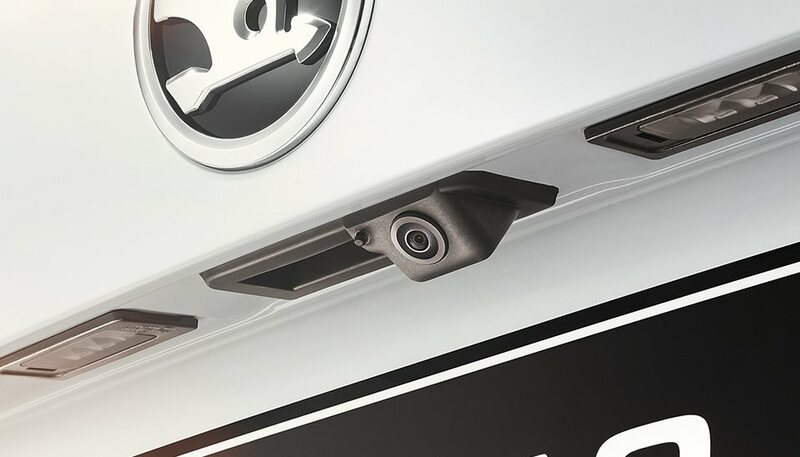 There are four cameras located in the grill, side-view mirrors and the handle of the 5th door that sense the space around the entire vehicle. 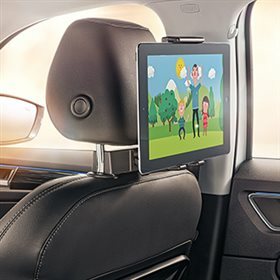 All pictures are then displayed on the infotainment system which can help you react quicker to whatever comes your way. A little assistance with parking is always a good thing. 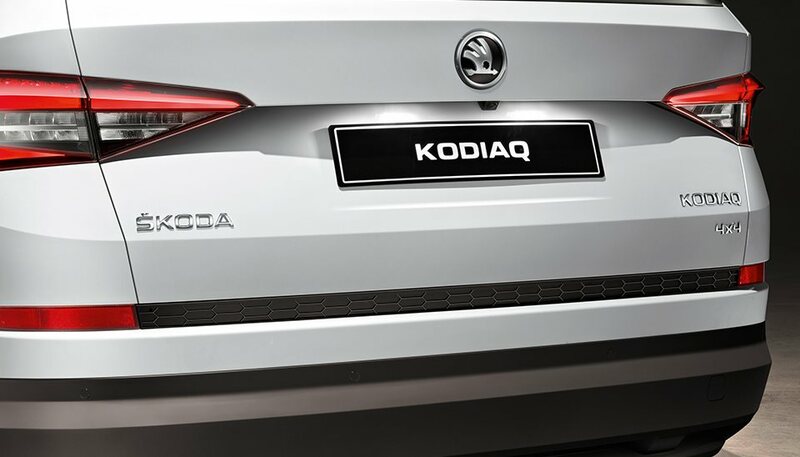 The parking sensors assist the driver with parking and work in conjunction with all of the infotainment systems available for the new KODIAQ. 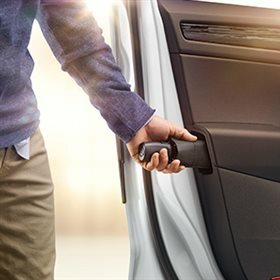 If you want to make parking easier than ever, say hello to Automatic Parking Assist**+ available with the optional Luxury Pack. 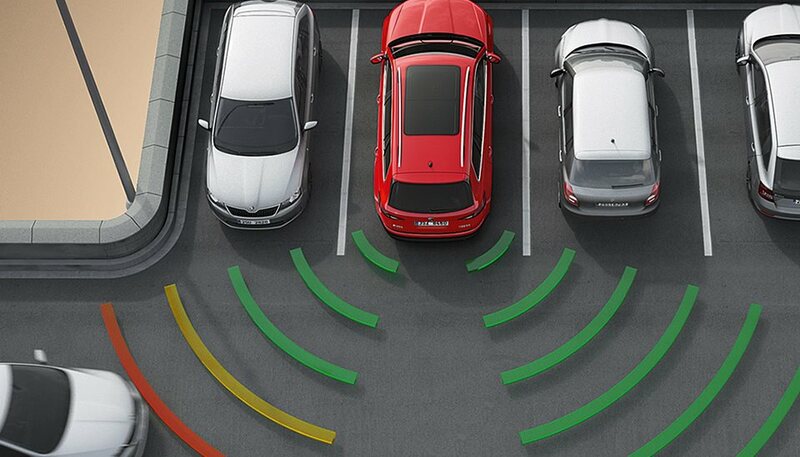 With the touch of a button, the system will begin searching for a parking space in a line of cars. 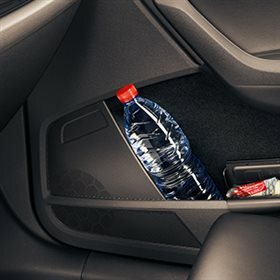 When a suitable sized space is found, the car will steer itself into the space whilst the driver controls the pedals. 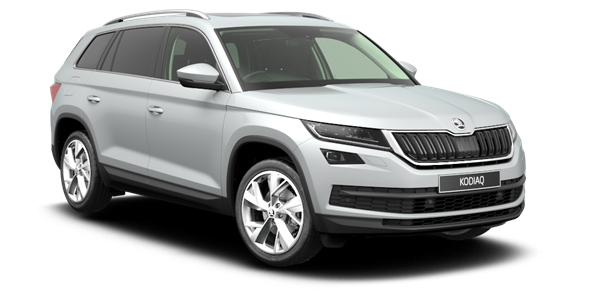 As our first 7-seater, the KODIAQ combines 4x4 capabilities, the latest in technology and European design, smart safety features and of course, the exceptional value you’d expect from a ŠKODA.